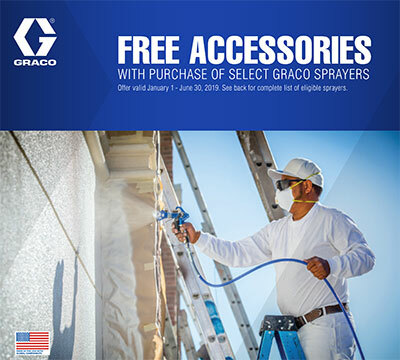 The Graco GH 230 Convertible sprayer is the hydraulic solution for medium to large jobs where proven hydraulic power is demanded to get the job done every time. 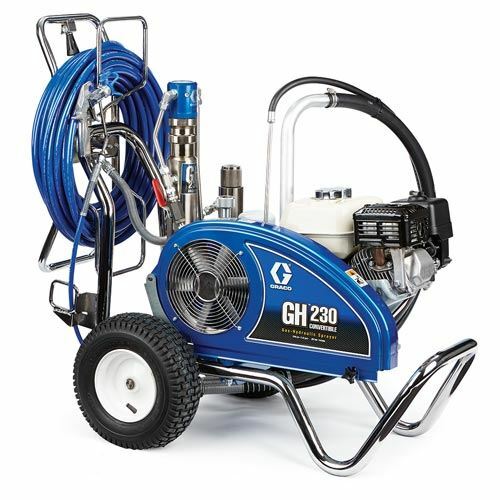 And like the GH 130 Convertible, you’ll have the ability to change out the pump lower and convert to electric power without tools on the job site. 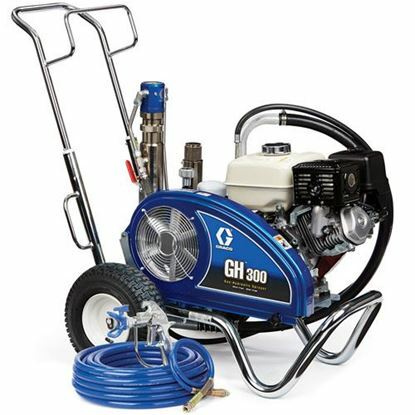 Outfitted with a reliable Honda 160 cc (5.5 hp) engine. The ProContactor Series features QuickReel - integrated QuikReel you can deploy and rewind up to 300 feet of hose in seconds, letting you put the sprayer where you want it and the gun where you need it. Lasts 6X longer between repacks! 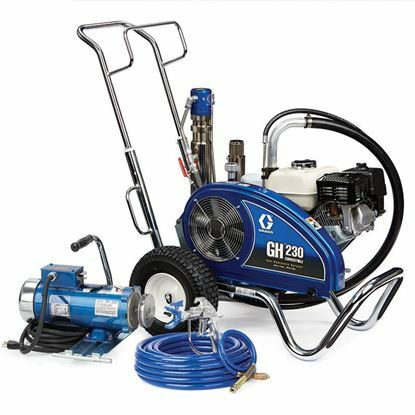 ProConnect Pump Removal and Installation System makes it easy and fast to replace the pump. Convertible Power - Use Electric or Gas!